On a recent East coast trip I came across a sign that made me ponder a topic that I have a pretty strong opinion about. 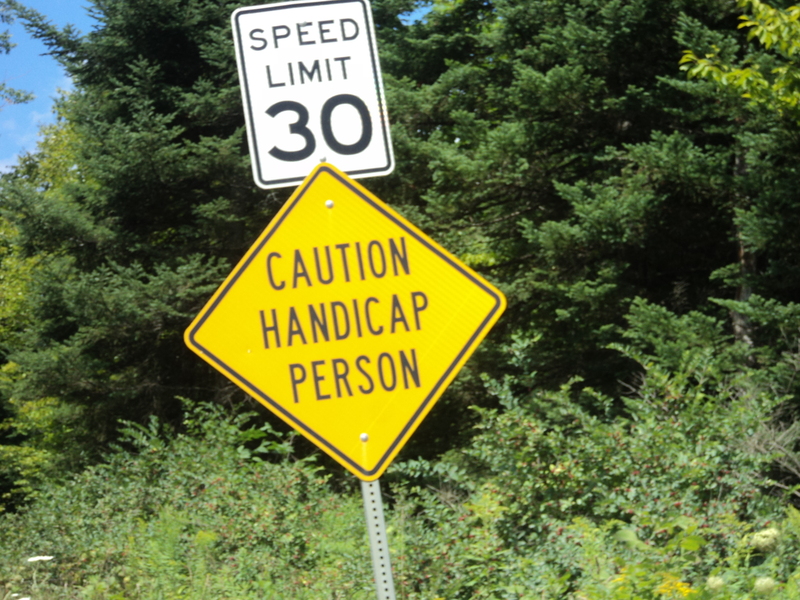 My first reaction was that it made it sound like the handicapped person was dangerous. It’s clear upon reflection that the sign is there to protect the individual who likely has a tendency to end up on the road. Normally I wouldn’t give this sign a second thought, but it’s a topic I’ve discussed and debated a lot. A good friend of mine works in the field and has very strong feelings about word choice. She feels that the words we use to describe people with disabilities are extremely important and campaigns against the casual use of the word “retarded” to mean stupid.